The Sento: Japanese Public Bathhouses in Kyoto is a product of "Decoding Kyoto Project 2008" conducted by a group of ten second-year students of the College of Policy Science, Ritsumeikan University. This project is part of a grand plan which aims to make Kyoto a more comfortable place, for residents and travelers from overseas to live in and stay, with the help of English translation of important information about the city. 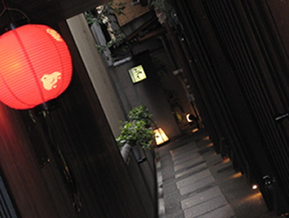 Last year we published Kiyamachi Walker, a unique guidebook for Kiyamachi, one of Kyoto City’s interesting downtown areas (visit our website http://decodingkyoto.policy-science.jp/kiyamachi_walker/). This year we focused on sento, Japanese-style public bathhouses, in order to let visitors know this attractive culture. The students first interviewed people from overseas to understand what kind of information the travelers would like to know about sento. Then they carried out extensive fieldwork on the sento bathhouses in Kyoto. They also conducted intensive researches into history and basic information about sento for the purpose of helping people from overseas understand the cultural background of sento. Here we are glad to finally present the guidebook on this website. With the generous assistance and cooperation of many individuals, especially Mr. Koji Konaka, the head of the association of owners of public bathhouses in Kyoto, and Mr. Tsuyoshi Nakajima as a supervising editor, the students studied how to provide potential readers with information in English that they wish to know. The students also learned how to behave as a responsible member of society in contacting with masters of bathhouses who kindly agreed to be interviewed. Lastly the students experienced the joy of doing academic research on their own, the kind of joy experienced only after hard work. “In media res” in Latin means being in the middle of real things or events. As their academic adviser, I would be very happy to admire the students for their courage to start their study “in media res” of sento as novice researchers. 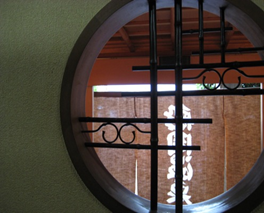 The Sento: Japanese Public Bathhouses in Kyoto is open to anyone who is interested in sento. "Decoding Kyoto Project 2008" will soon be over, but The Sento will continue to evolve with your input and feedback. Any suggestions, advice, and questions are always welcome, so please email them to decokyo_2008@yahoo.co.jp. We all hope you will enjoy the fruits of our efforts and be co-authors of this guidebook.